Three local hospices have each received £8,000 thanks to savers at Hinckley & Rugby Building Society who chose to put their money into its Hospice Affinity Account. Since its launch in 2008 the account has now paid out a total of more than £125,000 to LOROS in Leicestershire and Mary Ann Evans Hospice and The Myton Hospices in Warwickshire. All three hospices serve families in Hinckley & Rugby’s heartlands. The total donation of £24,000 is equivalent to one per cent of the average balances held in the Affinity Account in the past year. 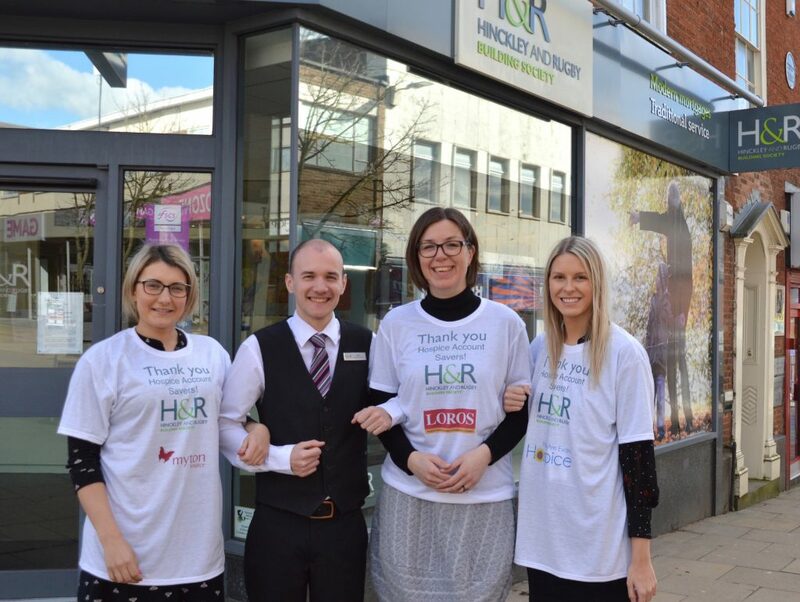 “We would like to say a massive thank you to Hinckley & Rugby Building Society and to its members for their amazing and continued support towards the hospice. “I would like to say a huge thank you to Hinckley & Rugby Building Society on behalf of the staff, patients and families here at The Myton Hospices.